If you want to play any type of video file on your iPad without a hassle, then you need to downloadReplayerHD, a completely free iPad app developed by OneMoreTimes. ReplayerHD lets you play a ton of files types that aren’t supported by the iPad’s native software. 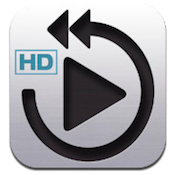 Forget the long encoding process: ReplayerHD lets you skip the wait and get right to watching the video. Another cool feature of ReplayerHD is that it supports closed captioning and subtitles, making it easy to watch any video that has text embedded in it. ReplayerHD can play various video file formats such as avi, mpg, mpeg, asf, flv, mkv, m4v, mov, wmv, vob, swf, ts, tp, rmvb, divx, kg3, mts, and m2ts. It can also play various audio file formats such as mp3, m4a, rm, wma, wav, ogg, and 3gp. Replayer HD also lets you transfer files over wifi, making it a great tool for sharing your videos, in addition to giving you a cool app to watch them with. You have the option to sync your videos with iTunes, or keep them separated, which is a nice touch. Even cooler is the touch locking function. This prevents you from accidentally touching the screen and screwing up the playback. If you choose to use ReplayerHD to play audio files instead of video files, you’ll be pleased to learn that ReplayerHD has LRC support, which syncs lyrics to your mp3 collection. 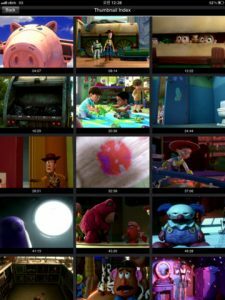 With a huge array of functions and a vast array of supported files types, ReplayerHD is a great iPad app for anyone who has ever been frustrated by the inability to play certain video file types. For a free app, it feel very polished and works great, so check it out! ReplayerHDis compatible with iPad. Requires iOS 4.0 or later.A small expedite fee was paid by the developer to speed up the publication of this iPhone app review.